Christmas 1978: our first Christmas as newly-weds. We have been invited to share a feast with Fran and Archie McRae and their 3-generation family. Amazingly, Fran has tamed the chickadees to come and eat from her hand! Fran continued to wear the apron I made for her so long ago... and her home made cookies and yummy mint tea meant we were always welcome. "10 Days in December" is dedicated to her memory. On Christmas Day in an attempt to find something familiar and quietly sacred, I share the drawings in this book with Fran's little grandchildren. 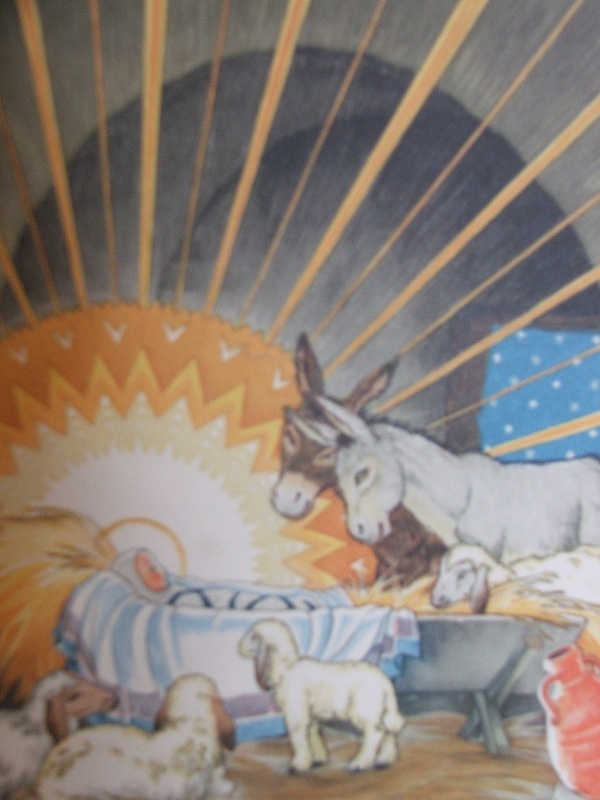 My most treasured possession "The Christ Child" with illustrations by Maud and Miska Petersham.